Insomniac announces return to Asia for EDC Japan 2018 ! 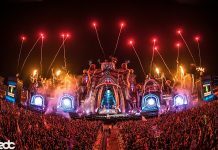 Home Edm News Insomniac announces return to Asia for EDC Japan 2018 ! 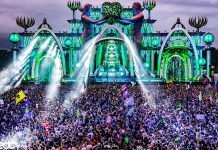 Insomniac and partners GMO Internet Group, Creativeman and Live Nation Japan announced the highly anticipated return of Electric Daisy Carnival – EDC Japan 2018. 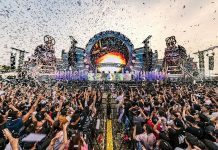 Following the successful first edition in 2017 with 84,000 festival-goers, EDC Japan 2018 will take place in beautiful Tokyo Bay at Zozo Marine Stadium and Makuhari Beach on Saturday, May 12 and Sunday, May 13. 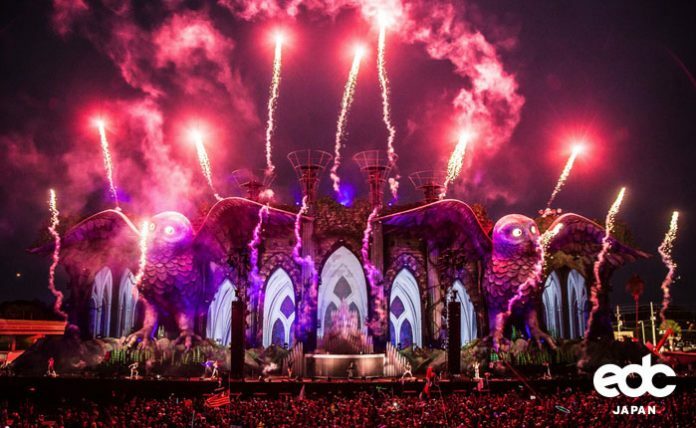 The two-day event will bring together the international dance music community to experience the cutting-edge stage production, globally-renowned talent, innovative art and technology, and culminating with an exhilarating fireworks finale that EDC is known for around the world. “As EDC continues to expand around the world, I’m excited to announce our return to Japan to celebrate the culture and love of dance music that brought Headliners together in 2017,” said Pasquale Rotella, Founder and CEO of Insomniac. “Our home on the Tokyo Bay is the perfect backdrop to a truly unique experience that we are lucky enough to share with our international community and the beautiful people of Japan” he added. EDC Japan will mark the first international appearance for the stunning kineticFIELD Gaia stage. Making its festival debut at EDC Las Vegas 2017, the breathtaking structure will venture overseas to Asia where fans will be immersed in the beauty and spirit of Mother Earth. Legendary dance music acts will perform across the stage while elements of fire and water bring Gaia to life. 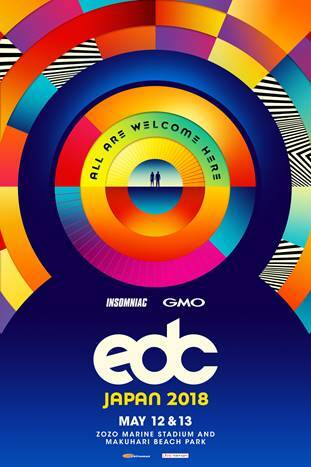 The 2017 edition of EDC Japan saw the likes of Martin Garrix, Zedd, Marshmello, Afrojack and Kaskade across three of Insomniac’s signature stages including the iconic kineticFIELD, the intimate neonGARDEN, and the sprawling circuitGROUNDS located right on the beaches of Tokyo Bay. All weekend long, the vibrant crowd was treated to interactive amenities, illuminating fireworks, costumed performers and sounds from local Japanese artists in addition to global talent. Tickets for EDC Japan 2018 will be available on Wednesday, December 20 at 7pm PST. For the latest updates and announcements on EDC Japan, visit link.